BREAKING News Out Of OKLAHOMA... HE'S SCREWED! BREAKING News Out Of OKLAHOMA… HE’S SCREWED! 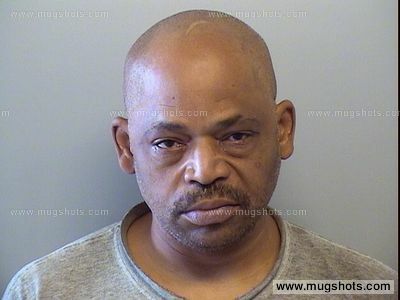 TULSA, Okla. — United States District Court Judge Gregory K. Frizzell sentenced Tracy Allen Crawford, 32, of Tulsa, Wednesday, to a term of 30 years imprisonment for robbing a local fast food restaurant. On June 5, 2018, Crawford pleaded guilty to brandishing a firearm during and in relation to a crime of violence. Crawford and another individual stole $900 from a Burger King located at 3242 E. 11th Street, on February 13, 2017. He pointed a hand gun at one of the employees and demanded she open the safe. When the employee could not open the safe, Crawford was directed to an office that contained cash register drawers. Crawford and the other individual took the money from the drawers before leaving. The court further ordered Crawford to pay more than $19,000 in restitution, in part, to Burger King. As part of a plea agreement, Crawford will also pay a portion of the restitution to local establishments he admitted to robbing between February and May 2017, including No. 1 Kitchen, Family Dollar, and Cash America Pawn. “Any gun crime means hard time. Federal prosecutors and law enforcement agencies are together focused on combatting violent crime in Tulsa. In close partnership with the Tulsa Police Department, we will make this community safer,” said U.S. Attorney Shores. The United States Attorney’s Office consistently works to improve collaboration between federal and local law enforcement in order to help identify cases that can be prosecuted in federal courts. Through Project Safe Neighborhoods and the Public Safety Partnership initiatives, U.S. Attorney Shores hopes to bring more resources, best practices, and enforcement strategies to northeastern Oklahoma to help reduce violent crime. This prosecution resulted from an investigation by the Tulsa Police Department Robbery Unit and the Bureau of Alcohol, Tobacco, Firearms and Explosives. Assistant U.S. Attorney Dennis A. Fries prosecuted the case.